“Stranger Things 2” is big. Everything about it is big. Its story is big, its emotions are big, its music cues, homages, and characters are all big, big, big. With an additional episode, a handful of new faces, more money in the budget and inflated ideas to match, the sequel season to Netflix’s breakout original series is a conscious move to broaden its scope and lengthen its story. Season 2 takes a while to get going, and there are more growing pains other than additional setup, but the first season’s lively spirit perseveres for a largely thrilling adventure that’s hard not to enjoy. 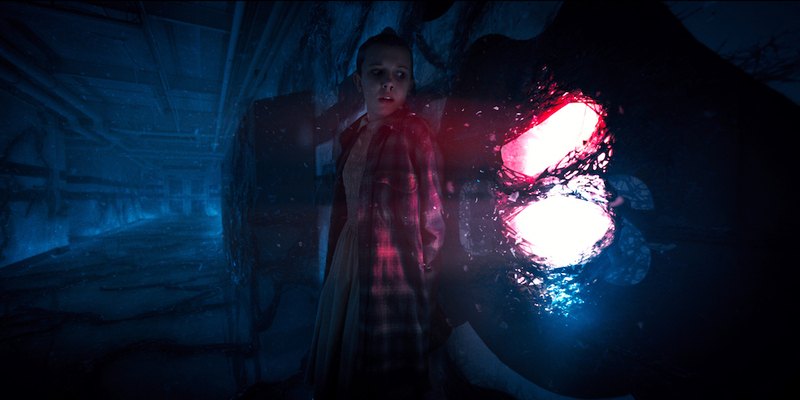 All that bigness is somewhat fitting: After all, “bigger is better” is a time-honored rule for movie sequels, and “Stranger Things” Season 2 wants you to think of it as a movie — all the way down to its creators’ preferred title, “Stranger Things 2” (not “Stranger Things” Season 2). Whatever you call it, “2” is another lovingly crafted extended ode to ’80s movies, as creators Matt and Ross Duffer infuse homages to “Ghostbusters,” “Gremlins,” “Aliens,” and so much more into the mix. Nostalgia is alive and well for what seems like everyone’s favorite decade, and more locations, more special effects, and more action, make the new episodes feel (at least) movie-adjacent, if still very much a TV show. Funnily enough, “Stranger Things 2” works best when it leans into its TV roots. Mainly, that means spending valuable time with its characters. Without spoiling anything the creators haven’t made known themselves — and specifically avoiding a key opening sequence we’ve been asked not to discuss — Season 2 picks up nearly a year after the ending of Season 1. All is as it was in Hawkins, Indiana. Mike (Finn Wolfhard), Dustin (Gaten Matarazzo), Lucas (Caleb McLaughlin), and a recovered Will (Noah Schnapp) have shifted their interests from board games to arcade games. Romantic entanglements both longstanding and fresh have settled into expected grooves — as has Sheriff Hopper, who’s back to his casual morning routine at the police station. The only change: Eleven (Millie Bobby Brown) is still missing. When “Stranger Things 2” digs into these characters, it tends to succeed. Matt and Ross Duffer wisely choose not to split up the established generational groupings too much: The boys do their own thing; Steve (Joe Keery), Nancy (Natalia Dyer), and Jonathan (Charlie Heaton) are still in a love triangle that drives its own plot, and the adults are dealing with the true perils of responsibility. Though the love-dovey high schoolers remain the show’s worst arc — no matter how the three are mixed and matched, they remain a black hole for chemistry — the rest of the cast mostly benefits from additional time. The boys aren’t pushed too quickly into adulthood and remain a pure-hearted joy. A new member of the “party” creates similar fissures as Eleven did last season, but the shift isn’t as predictable as it sometimes seems, even though it isn’t particularly engaging either. Some of it we’ve seen before, and the rest fails to add significant weight to the drama. Equally subtle romances tend to be forming elsewhere, but despite not overemphasizing secret longings too bluntly, it’s easy to see the long-term plans clicking into place. That can prove frustrating when it feels like a new character is used as a prop or two people obviously interested in each other stall for multiple episodes before getting on with it already. But these are the costs of expansion, and “Stranger Things 2” hides the fines well enough. If all this has you thinking “Stranger Things 2” is heavier on the romance than the scares, you wouldn’t be wrong — at least, not for the first half of the season. There’s even an additional paternal love story that elicits quite the emotional pangs, but again, no spoilers here. By Episode 8, the grand plan clicks into place, blood starts to fly, and the wait is mainly worth it. There will be a lot more to discuss once the embargoes have been lifted, fans have dug in, and spoilers can be shared, but “Stranger Things 2” remains the series it’s always been, only bigger. Though repetitive in places and absolutely bursting with plot, the reference-heavy, nostalgia-driven “2” still succeeds at bringing families together for nothing but a good time. “Stranger Things 2” premieres Friday, Oct. 27 exclusively on Netflix.